Some people know exactly what they're doing. Joe is one of those people. It didn't come naturally, though. He had to work hard and educate himself from the ground up! As a kid, I was always active and played many sports, such as baseball, basketball, golf, and tennis. Around the age of 16, I started performing calisthenics, such as push-ups, which eventually progressed into some basic lifting with a pair of dumbbells in my basement. My nutrition was always pretty solid thanks to my parents for teaching me to eat healthy and nutritious foods. Due to my decent diet and basic resistance training, I started to notice results and was excited by my stronger and more muscular body. I decided to take fitness more seriously, got a gym membership, and started training with a more structured lifting routine. I was, and continue to be, determined to stay natural and never use steroids. Since then, I've become fully committed and passionate about fitness and also became an ACE-certified personal trainer. As a Pre-Med Natural Science major, I'm very interested in the scientific side of things and finding the best ways to fully optimize my nutrition and weight lifting plans. I continue to learn and educate myself so I can provide myself and my clients with the most effective training and nutrition advice. 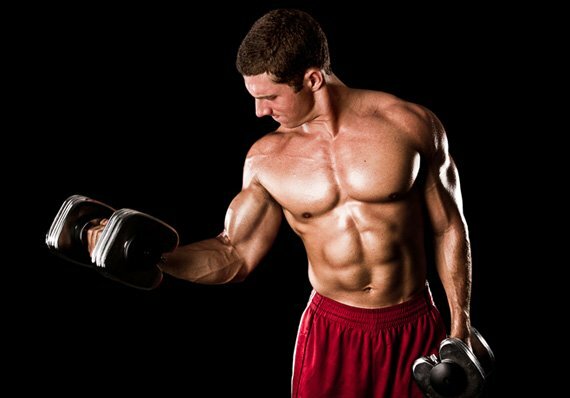 There are a lot of different theories out there regarding the best way to train to maximize muscle mass and fat loss. Rather than sticking to one particular philosophy, I try to learn and understand a variety of different perspectives and incorporate multiple principles into my workout. Although the typical 8-12 reps are definitely effective to build muscle, there are also benefits to lower and higher rep ranges as well. In constructing my workout, I typically start with a heavy, compound exercise for a low rep range (around 4-6 for large muscle groups and 6-8 for smaller muscle groups). This targets the Type IIx fibers and causes myofibrillar hypertrophy. It's good for developing strength gains. My second exercise is in the more traditional bodybuilding rep range of 8-12. This is followed by another exercise of 8-12 reps for large muscle groups. Lastly, I finish with a high-rep (around 12-15, sometimes 20) exercise. By employing this progression of rep ranges, I'm able to get more benefits as well as keep my muscles "guessing" so to speak. I change the exercises I perform every once and while to keep my workout from getting stale and to hit the muscles from different angles. But rather than mindlessly changing my routine, I incorporate exercises that hit each part of the muscle. For example, I use an overhead triceps extension to stretch and target the long head followed by a triceps rope pushdown to emphasize the lateral head. Having a good understanding of your anatomy and physiology is helpful in making a solid workout. I'm a big supporter of HIIT (High Intensity Interval Training). It has been proven to be more effective than steady pace cardio for fat loss, plus it takes less time to do. I like bringing intensity to all of my workouts and the hormonal benefits, as well as the increased amount of calories burned doing HIIT. Walking in the "fat burning zone" is not the best way to lose fat; it's calories burned that matters. Although you burn mostly carbs during HIIT, you end up burning more fat later in the day. HIIT can be done on any cardio machine (bike, treadmill, rower, etc.). I alternate between 30 seconds of high intensity exercise (such as sprinting), followed by 60 seconds of low intensity exercise (walking). Keep repeating this cycle for about 20 minutes total. I perform a five-minute warm-up before each workout and stretch at the end of every workout. Proper nutrition is vital to get results, whether it's gaining muscle or losing fat. Training is just the stimulus. I like the analogy by Lee Labrada: "Training and nutrition are like the 2 wheels on a bike. You need both in place in order to move forward." There are many diet philosophies out there from balanced eating, to intermittent fasting, to carb backloading, to paleo, to "If It Fits Your Macros" (IIFYM), to carb cycling, and many of them work for a variety of people. The best diet is the one that you stick to. Personally, I follow a rather balanced style of eating, with about 4-6 meals per day, but I do incorporate other diet principles too. When constructing a diet, I believe first and foremost, calories are the most crucial factor. If you're trying to build muscle, you need to be in a calorie surplus, and if you are trying to lose fat, you need to be in a calorie deficit. There are exceptions where you can gain muscle and lose fat at the same time, such as people who are new to working out. 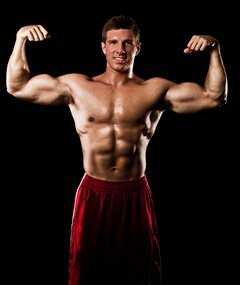 Too many people try to build muscle and lose fat at the same time (body recomposition) and end up running in circles and not making much progress. There are ways around this, such as carb cycling, in which you have higher carb, higher calorie days to help build muscle, and lower carb, lower calorie days to help shed fat. So although you might not be building muscle and losing fat at the same time, over the course of a week or month, you get both benefits in the end. I recommend picking a goal and applying a carb cycle to it. You can still have higher carb/calorie days and lower carb/calorie days, but by having a main goal in mind, you would have more calories during your bulk and less calories during your cut so that you can achieve your goal faster than trying to do both at the same time. The benefits of resistance training and good nutrition are numerous. What started off as a means of gaining more muscle and looking better transitioned into much more. Bodybuilding is about more than just gaining muscle. It's about working hard to improve your physique, health, and strength, both mentally and physically. Just because your goal might not be to look like Phil Heath doesn't mean you're not a bodybuilder. Anyone who trains in the gym and follows a fitness lifestyle is building their body for the better. Bodybuilding enhanced my passion for health and fitness and continues to motivate me to become a personal trainer and help other people improve their bodies. Surround yourself with others who share in your views and you'll gain the strength and commitment to reach your goals. Through my own personal desire, I wanted to gain a stronger, more muscular physique and strive to be healthy and fit. There are a lot of factors that fuel my motivation. For one, just my passion for health and fitness and taking care of my body drives me to do whatever it takes to be in the best shape I can. I'm constantly researching and reading articles/studies to see different opinions regarding training and nutrition. Also, following fitness blogs and other fitness models/natural bodybuilders on sites like Twitter always inspires me to keep working hard. Thanks to people like Rob Riches, Steve Cook, James Ellis, Jim Cordova, Layne Norton, Jim Stoppani, and Lyle McDonald, I've learned so much. Plus, my workout partner shares the same love for fitness as I do, so we motivate each other to stay focused on our goals. Lastly, I truly enjoy working out and pushing my body every time I step foot into the gym. Every day that you train hard and eat healthy, you're bettering yourself as a human being. Our body is our most important possession and a precious gift from God and people need to start treating it that way. Inspiration can come from something as small as a motivational tweet on Twitter, to watching a training video on YouTube, to reading a new workout article on Bodybuilding.com. External factors can motivate you to get pumped up for a workout and be excited to get in the gym. But the internal desire, commitment, passion, and dedication are what truly drive successful people to continue working hard, day after day. Strive to be the best you can be. I plan to continue to progress my physique by training hard and following a healthy diet. I also want to inspire and help others learn about nutrition and training. I hope to continue on after college and enter medical school to become a Doctor of Osteopathic Medicine and embrace a holistic philosophy that ties in nutrition and exercise. My dream would be to own a gym and an entire health, fitness, and medical facility that focuses on helping all clients reach their fitness goals and encourages a more broad sense of what it means to be healthy. Being healthy isn't just about one aspect. It's about being a complete and whole person inside and out. Take pride in your body. If you take the time to educate yourself regarding proper nutrition and training, and put the hard work in, you can achieve your goals. Don't wait. Make the change today and you'll be so proud of yourself. 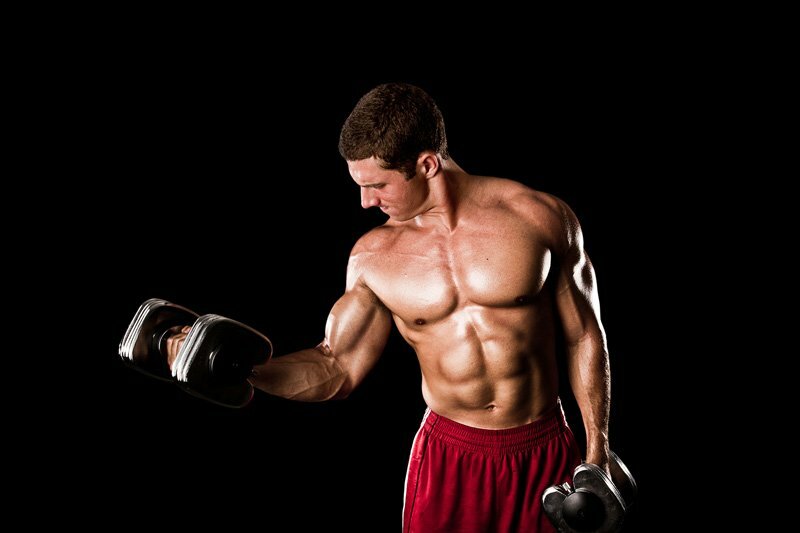 Better physique means better health, more energy, more strength, and more life. From a pure bodybuilding perspective, I would have to say Dorian Yates. The intensity and desire that he brings to every workout is so inspiring. Seeing him going beyond failure and making every rep count is a great example of how hard work pays off. Overall, my favorite fitness model and natural bodybuilder is Rob Riches. His training and nutrition is very precise and follows the true principles of what it takes to get an amazing physique. He doesn't take any shortcuts and shows how bodybuilding is not just about weight lifting, but about eating right 24-7. And lastly, I appreciate how he helps to educate others through his YouTube videos and Twitter. His knowledge and motivation has greatly helped me get to where I am today. Bodybuilding.com has played a huge role in helping me reach my goals. The awesome articles have been informative and gave me the knowledge to create proper workouts and understand how nutrition plays a crucial role to get results. Bodybuilding.com truly cares about its customers and provides a complete site for in-depth and up-to-date articles, motivation, videos, and training programs. It has an excellent store that sells a large array of products at great prices.